The President calls the situation in justice inadmissible. 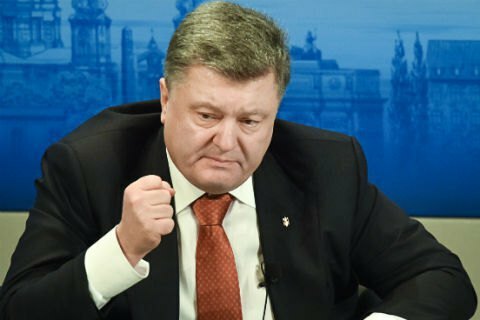 President Petro Poroshenko underlines the necessity of continuing the judicial reform and considering the changes in the Constitution regarding justice, President’s press service reports. "I would ask you, even under the parliament and government crisis, to hold necessary consultations in order to consider the return to the question of changes in the Constitution regarding justice," Petro Poroshenko said during the meeting with the deputy factions. The President called the situation in that sphere inadmissible. "The things that have been taking place in the judicial branch of power: when people bringing "titushki" are released, when people engaged in corruption leave court – all this is inadmissible," Petro Poroshenko emphasized. The head of state noted once again that reformation of the judicial system, legal proceedings and allied legal institutions will provide practical implementation of the principles of the supremacy of law and the right of every person to fair hearing of his/her case by independent and impartial court. The President also urged the MPs to speed up the search for ways out to overcome the political crisis. As reported before, the Verkhovna Rada adopted the project of the judicial reform in the first reading on 2 February. Ony 244 MPs with 226 required voted for the changes in the Constitution regarding justice.